Chateau Rouget has one of the longer histories in Pomerol. The vineyards appear to have been planted by the ancient Romans at one point. Although, coming closer to the modern age, Chateau Rouget makes its first appearance all the way back in the 1700’s, according to documents stored in the archives of Pomerol. 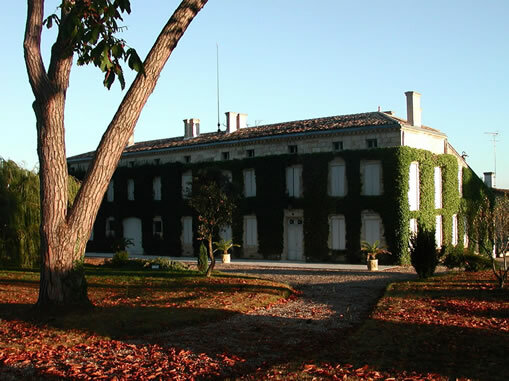 For most of the 18th century, Chateau Rouget was owned by the Bayonne family. At the time, Chateau Rouget had a great reputation. It was considered to be one of the top five wines of the entire Pomerol appellation. Near the close of the 19th century, in 1892, the estate was sold to the Dupuy family who later passed it to the Marcel Bertrand. A direct descendant of Marcel Bertrand sold Chateau Rouget to the Labruyere family in 1992. This was not the first wine venture for the Labruyere family. They have owned vineyards since 1850, in Beaujolais with Domaine Labruyere in the Moulin-a-Vent appellation. The Labruyere family also owns Domaine Jacques Prieur Musigny, in the Burgundy region and JM Labruyere in Champagne. Prior to the 1992 sale to the Labruyere family, much of the production for Chateau Rouget was sold in bulk to Ets. Moueix. As soon as the sale closed, the new owners of Chateau Rouget set out to make a vast array of improvements and renovations to their entire Right Bank property. The Labruyere’s goal was to do everything that what was needed to improve the wines of Chateau Rouget and not spare any expense to accomplish their ambition. Today, the estate is managed by Edouard Labruyere. The vineyards of Chateau Rouget were replanted and they removed the plots of Cabernet Sauvignon. They also built all wine making facilities and cellars. In 1997, they hired Michel Rolland as their consultant. They also purchased additional vineyard land and expanded the vineyards of their Right Bank estate. The additional land turned Chateau Rouget into one of the largest Pomerol properties in the appellation with close to 17 hectares of vines. In 2001 they also began an extensive replanting of the vineyards and complete modernization of the wine making facilities at Chateau Rouget. The vines of Chateau Rouget are located in the northern part of the Pomerol appellation. They are not that far from Chateau LEgliseClinet and Chateau La Croix de Gay. The 17 hectare vineyard of Chateau Rouget is planted to 85% Merlot and 15% Cabernet Franc. The estate has 17 hectares under vine. The terroir is gravel, sand and clay with iron in the soils. The vineyard is in 3 distinctive parcels. The best soils are the 12 hectares close to the chateau and not far from Chateau Trotanoy and Petit Village. The remaining vineyard is located in soils with more sand. The vines are on average close to 28 years of age and are planted to a density of 6,000 vines per hectare. However they now have a small parcel, about 1 hectare which is planted to Cabernet Sauvignon, they will eventually add to the Grand Vin, when the vines are old enough. New plantings are taking place at a density of 10,000 vines per hectare, which is quite high, for a vineyard in Pomerol. To produce the wine of Chateau Rouget, vinification takes place in a combination of 50 hectoliter and 60 hectoliter, wood vats and temperature controlled, stainless steel tanks. However they are Malolactic fermentation takes place in barrel. However, a portion of the harvest, about 35% is vinified using micro-vinification techniques, meaning that the wine was vinified in barrel. The wine of Chateau Rouget is then aged in 50% new, French oak barrels for an average of 15 to 18 months before bottling. There is a second wine, which has gone through a few name changes over the years. Today, the second wine is Le Carillon de Rouget. Previously it was called Vieux Chateau des Templiers and before that, it was previously sold as Le Clocher de Rouget. Close to 6,500 cases of wine are produced at Chateau Rouget each year. Chateau Rouget can be enjoyed on the young side with 1-2 hours of decanting. This allows the wine to soften and open its perfume. Older vintages might need very little decanting, just enough to remove the sediment. However, I find the wine is usually better with 5-8 years of bottle age. Of course that can vary slightly, depending on the vintage character. In the best years, Chateau Rouget is usually at its best between 5 to 20 years of age after the vintage. Chateau Rouget is best served at 15.5 degrees Celsius, 60 degrees Fahrenheit. The cool, almost cellar temperature gives the wine more freshness and lift. Chateau Rouget is best paired with all types of classic meat dishes, veal, pork, beef, lamb, duck, game, roast chicken, roasted, braised and grilled dishes. Chateau Rouget is also good when matched with Asian dishes, hearty fish courses like tuna, mushrooms and pasta. Juicy bright cherries, plum and thyme create the main theme here in this medium-bodied wine. You'll find this is soft, round and polished with fruits that speak to you from start to finish. Silky, soft, polished and fresh, the ripe fruit sings here. The added nuances of flowers, anise and truffle along with dark cocoa add to the experience. This super wine is a real value for Pomerol. Floral and black raspberry notes are the first things you notice here. This lush, silky, medium-bodied wine is satisfying with fruit-infused cocoa in a round finish. Rich and concentrated, with silky tannins, freshness and layers of sweet, ripe black cherries with the right amount of licorice. Silky and fruity, the wine feels great on your palate. This is the best vintage of Rouget produced yet! I love writing about wines that start out as 91 Pts in barrel, and end up with 93 Pts in bottle. That's how it should work in a good vintage. Here, you find a rich, deep, concentrated wine, with silky tannins, elegance, balance, freshness and sweet, ripe black cherries infused with licorice. The lusciously textured finish is the frosting on the cake. The wine was made with 45% whole cluster fruit, which definitively had a positive impact. Medium-bodied, silky and soft, with ripe, fresh, juicy plums, earth and floral notes. This is quite nice and a good value for a wine from Pomerol. As good, or even slightly better than the 2009, the wine is lush, plush and filled with sweet, juicy, ripe, black plums, cherries, truffle, licorice and dark chocolate. Rouget is making one of the best values in Pomerol today, which says a lot for wines from this increasingly expensive appellation. Round, supple textures, fresh dark cherry, earth, fennel and cocoa scents and a fresh, sweet, plummy, rich, plush finish. This is another example of how great 2009 is for the entire appellation of Pomerol at all price points. Black raspberry, coffee, dark cherry and earthy notes make up the perfume. Medium bodied, soft and round in texture, with a sweet, red and black plum filled finish. This is a nice, ready to drink Pomerol that is available for under $30. Floral, focused and fresh, the wine is medium bodied, finesse in style, with a sweet, black raspberry, red plum and licorice finish. Give this a few more years of age for the structured tannins to better integrate and soften. Plums, flowers and black cherries pair well with this medium bodied Pomerol. Soft in texture with some roundness, this earthy, black cherry and licorice flavored wine is almost ready to drink. Nice wine here, developed and open in the nose, with its black cherry, cocoa, wet earth and licorice character, and on the palate, with its tannins full integrated, leaving you with juicy, fresh, earthy, spicy cherries in the finish. Close to fully mature, with lots of soft, silky plums, cherries and chocolate with truffle accents. Sour, tart, acidic and filled with VA, the best part was the dried fruit component, and that was obviously not enough to make this wine worth drinking.